Maca Root For Curves And 18 Other Ways To Use It. I Always Need More Of #6! Ok, where can I even begin to explain how good maca is? What Is Maca Root Good For And How To Use It? Maca is such a great superfood, a hormone builder, a strength builder and an awesome aphrodisiac. Maca has been cultivated as a vegetable root crop in Peru for 3000 years. According to Peruvian folklore, maca was heavily used in the Tahuantinsuyo Empire, by their warriors, to increase their strength and endurance. Because it’s such a good hormone balancer, many people use maca root for weight gain. Sure, depending on your usage, it can also act as a weight loss supplement. But for people who want to add some weight, you might wanna test out using maca root for curves (and also read this article about weight gain pills). How come you can both gain weight and lose weight? Well, the maca root has a potent adaptogenic property – meaning you get different effects on the body depending on your individual needs. Cool, huh? Well, the unique alkaloids that are found in maca, called Macainas, have shown to nourish and support the endocrine system – inducing you blood stream with the hormones you’re needing. 17) erectile dysfunction among men to increase sexual desire. 18) and also to boost the immune system. What About The Nutritional Content Of Maca Root? Maca is loaded with lots of vitamins, minerals, amino acids and plant sterols that include vitamins B1, B2, B, C, D, E, iron, potassium, copper, magnesium, selenium, phosphorus and calcium. It is also rich in fiber food and a good source of plant protein. The Maca root is also a good source of fatty acids and has a unique four alkaloids, namely Macaina 1, 2, 3 and 4. Where To Buy Maca Root For Curves? 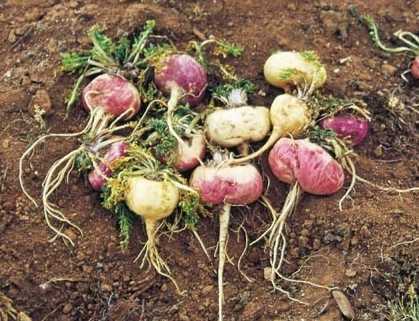 Maca is a plant that is a native of the central Peru, in the high plateaus of the Andes Mountains around Lake Junin. Its scientific name is lepidium meyenii, and it is an herbaceous biennial plant of the crucifer family. Eating maca is one of the best nutritional choices you can do, as this superfood can provide you some incredible health benefits. For instance, many people use maca root for curves, among the 18 other ways to use it described above. Maca is a relative to the raddish and has a similar odor to butterscotch. It is one of the few food plants in the world that thrives in a high altitude, and it is also one of the rare special botanicals that can thrive in extreme ecological zones. Next post: Marshmallow Root – A Candy Or A Force Of Nature?